The future of Massachusetts hydropower will not come through the White Mountains of New Hampshire via the Northern Pass project, Massachusetts and utilities officials agreed and announced Wednesday. Instead, electric distribution companies working with the state have decided to finalize a long-term contract with the 140-mile New England Clean Energy Connect (NECEC) transmission project in Maine, which would feed the regional power grid, including Massachusetts. A regulatory board in New Hampshire has not approved a certification needed for the controversial Northern Pass Hydro project, which would bring hydroelectric power from Quebec to Massachusetts through a 192-mile electricity transmission project backed by Eversource Energy and the Canadian utility Hydro Quebec, to move forward. Northern Pass was the first choice of Massachusetts energy officials and utility executives for a major hydropower contract called for under a 2016 renewable energy law, but after the decision by New Hampshire regulators the Baker administration made plans to switch to an alternative project that would transmit the power via Maine. The state gave Northern Pass a March 27 deadline to try and reverse the decision by the New Hampshire board. "Today's update by the Electric Distribution Companies continues the Baker-Polito Administration’s commitment to execute clean energy procurements that ensure the Commonwealth is positioned to achieve a clean, affordable, and resilient energy future while progressing towards greenhouse gas reduction requirements," Executive Office of Energy and Environmental Affairs spokesman Peter Lorenz said in a statement. The decision is aimed at ensuring that the major contract called for under the 2016 law stays on track for an April 25 submission, the Department of Energy Resources said. AVANGRID Inc. and its subsidiary Central Maine Power Company (CMP) have said its $950 million NECEC project will provide an above-ground link between the electrical grids in Quebec and New England and that they have "strong support" from government and business officials in Maine. Central Maine Power said last month it expects to receive state approvals later this year and final federal permits in early 2019. This report was originally published by State House News Service. 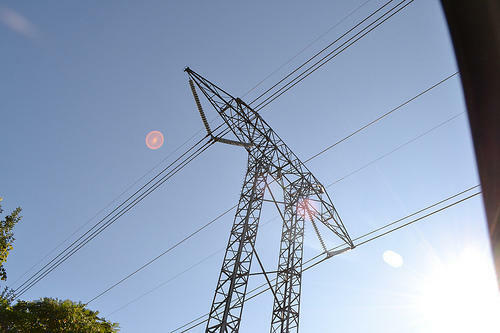 Massachusetts has picked another big transmission line for a potential energy contract, with the Northern Pass project in doubt. That new project is New England Clean Energy Connect, which would bring Canadian hydropower through Maine. Massachusetts regulators announced late Friday they would start negotiating a contract with the project's developer, Central Maine Power Company. Eversource is asking New Hampshire regulators to reconsider their rejection of the Northern Pass project. The utility filed a motion Wednesday with the state Site Evaluation Committee, or SEC. It wants the committee’s Feb. 1 denial of the project thrown out and the case re-heard. Eversource argues the SEC didn’t do its required diligence in discussing all the criteria the project had to meet to get a permit.